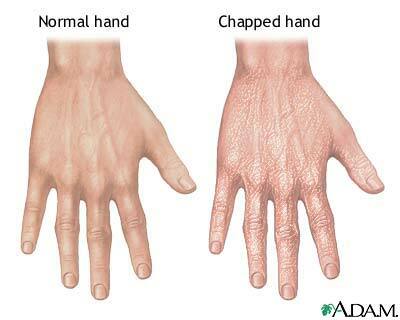 Chapped hands can be sore and painful. Chapped hands may be soothed by the use of moisturizing lotions and the avoidance of excess exposure to water. If hands become badly chapped, hydrocortisone creams (available over the counter) can be used to help heal and soothe dry skin.